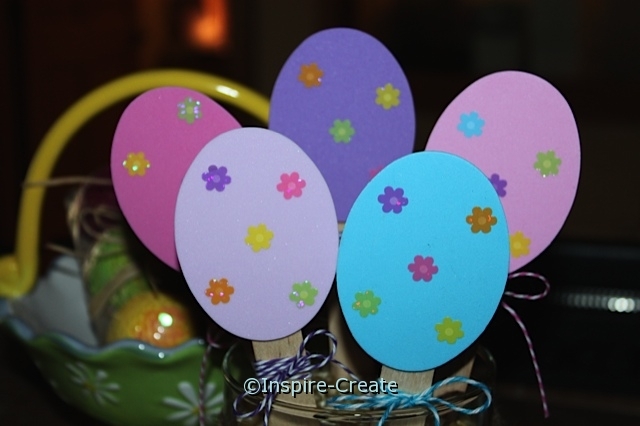 Here is a simple Easter Egg Bouquet that makes the perfect centerpiece for any table! With just a few craft supplies and a glass jar you can create this unique Spring Decoration. 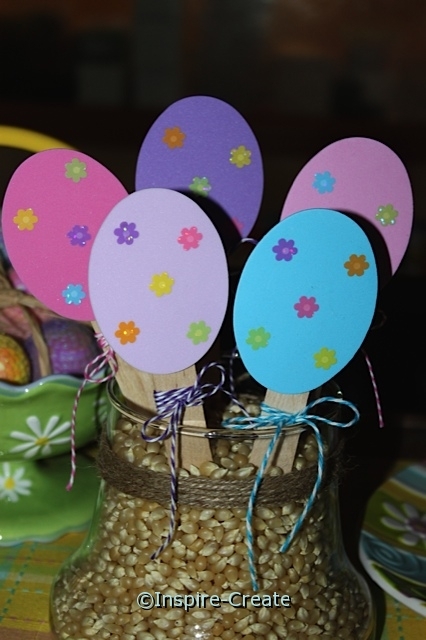 Add a few Flower Stickers to Small Oval Eggs (made from craft foam), attach eggs to craft sticks, and wrap sticks with Cotton Baker’s Thread. 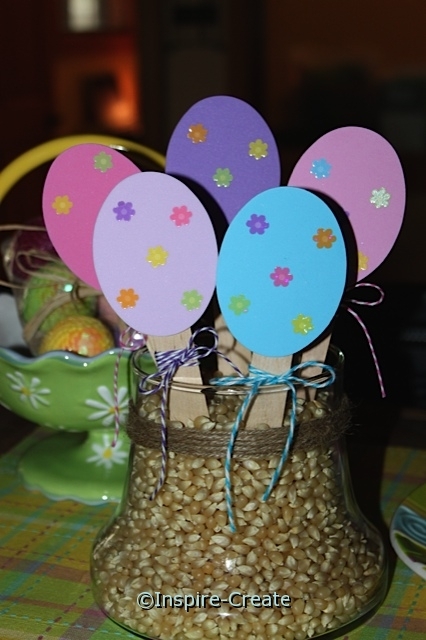 Then fill a vase or clear jar with popcorn kernels, jelly beans, Easter grass, or shredded paper and position Easter Eggs w/ Sticks to create this adorable bouquet! Who doesn’t like stickers?!? 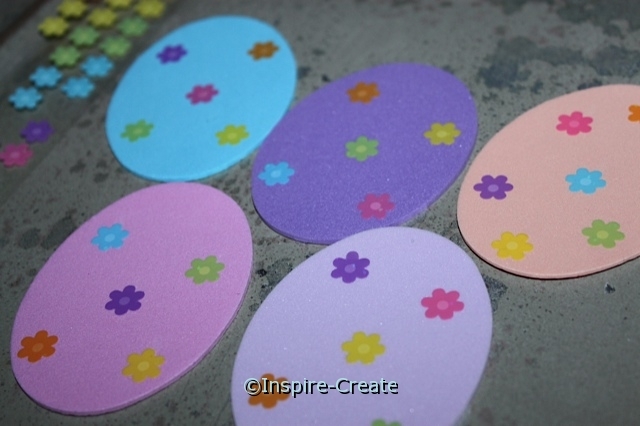 To decorate these Easter Eggs, we added Mini Flower Stickers to Pre-Cut Craft Foam Ovals “Eggs”! Just peel and stick flower stickers right to the craft foam in any pattern you like. 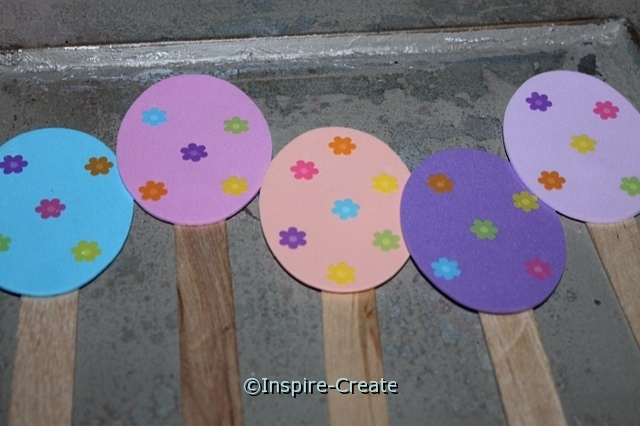 No messy glue and no drying time needed for this Easter Decoration! 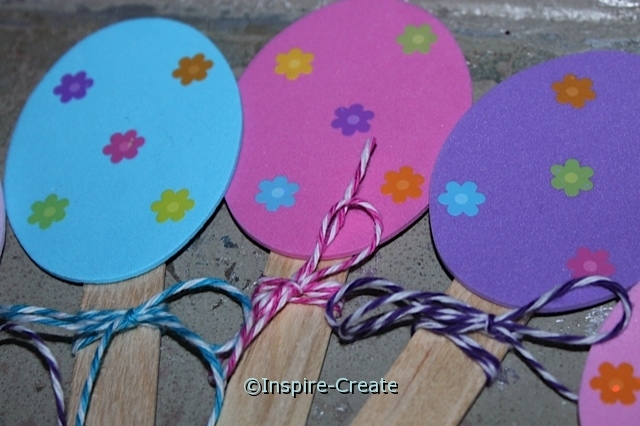 Next attach the Foam Eggs to Jumbo Craft Sticks with a 1/2″ Craft Glue Dot. It only takes 1) Glue Dot to hold the egg in place. Press the Craft Stick to the Glue Dot and then attach the foam egg. Once the Glue Dot is on the end of the Jumbo Craft Stick, press the Craft Foam Egg to the stick. Next, wrap the top of the Jumbo Craft Stick with matching Cotton Baker’s Thread and tie a small bow in the front. 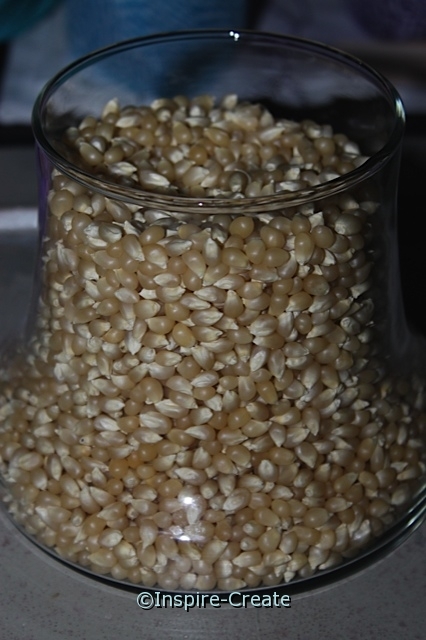 To create the Easter Egg Bouquet, we filled a clear glass jar with popcorn kernels. However, you can use Jelly Beans, Easter Grass, Shredded Paper, etc for filler. Then simply arrange each Easter Egg in the jar in the order you like. You can create different heights by pressing some eggs farther into the jar. In our jar we used 5) Eggs to create this adorable bouquet!